*Players Club members must show military I.D., DD-214 or VA card to be eligible for drawings, One free entry per visit and an additional entry for every 25 points earned during live play. 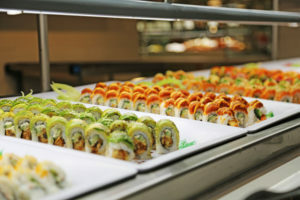 The Longhouse Buffet uses the finest and freshest ingredients for the Asian, Seafood and Western style cuisines. Sunday sushi & sashimi is a specialty and we offer over 20 selections. We also offer our selection of crab legs, prime rib, Mongolian grill, rotisserie carving station, stone pizza oven, shrimp, oysters, mussels, clams, Asian and American hot dishes. 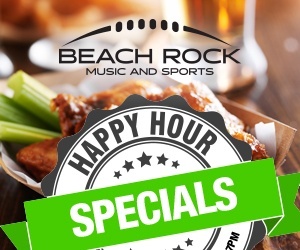 Wireless Sports Audio in the Beach Rock Lounge! The Wireless Audio Distributor (WAD) free application from Cinet.com enables customers to sit side by side and listen to different TVs using their personal smartphones or tablets. Each customer can watch any TV in the Beach Rock Music & Sports lounge, and listen to its audio, such as the sports commentaries, breaking news, game analysis, player comments, cheering crowds, etc. Download the free app from the Android Play Store or the Apple Store!